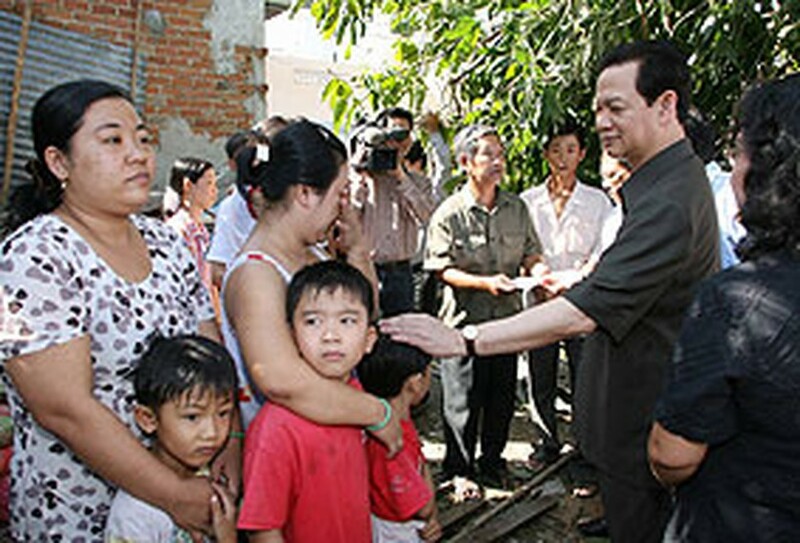 PM Nguyen Tan Dung visits typhoon victims families in Ba Ria Vung Tau province. Prime Minister Nguyen Tan Dung arrived in Ho Chi Minh City yesterday to chair an emergency meeting on helping the areas of the south stricken by Typhoon Durian. Mr. Dung said the country had taken initiatives to lessen the impact of the ninth typhoon this year, for example by providing state agencies and the general public with regular updates. 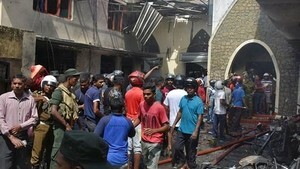 He noted how Ho Chi Minh City’s instruction to evacuate residents and fishing boats from areas at risk had saved lives and property. Mr. Dung also praised the city authorities for their quick dispersal of VND7 billion in emergency aid for the storm’s victims in Can Gio District on the coast and over VND7.5 billion for nearby provinces without waiting for word from Ha Noi. He assigned the Finance Ministry to supervise the insurance payouts to boat owners and to set aside VND150 billion (US$9.4 million) from the State budget to help victims of the devastating typhoon. Ben Tre Province is to receive VND70 billion, Ba Ria-Vung Tau VND40 billion, Vinh Long VND15 billion, Tien Giang VND10 billion, Tra Vinh VND5 billion and other typhoon-damaged VND10 billion. The Ministry of Agriculture and Rural Development was assigned to allocate part of the Farmers’ Assistance Fund to purchase seed for the next crop. Typhoon Durian hit Viet Nam on December 5 and tore through a dozen provinces, killing 67 and injuring 1,077 people. A further 31 are still missing, according to the latest report from the National Steering Committee for Flood and Storm Protection.